Some people aren’t ready to retire when they reach pensionable age, and there is no longer a ‘default retirement age’, so you can work for as long as you feel suitable. Some people will choose to remain in employment to maximise their opportunity to increase their income and to continue having a role within their communities. Some choose to volunteer so they can continue to keep active and contribute to society, maintaining their sense of purpose after retirement. However older people choose to spend their time, whether it’s enjoying being free in retirement to take up hobbies and gain new skills, remaining in employment or volunteering, Bridgend County Borough Council wants to ensure that these options are easily accessible to everyone. 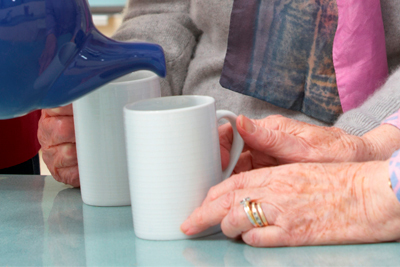 With more services moving online, digital exclusion can be an issue for some older people. Libraries and Adult Community Learning have courses which can help those who feel they need training to be more technologically savvy, and there are various other organisations across Bridgend County Borough who provide training for a wide range of skill sets. Advice is also available locally on making the most of what money people have available to maintain their wellbeing.